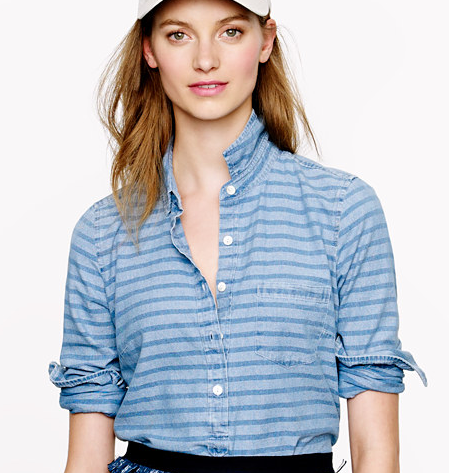 Chambray and stripes = together at last! This fabulous button down is just the thing to update your summer wardrobe. Perfect for the office or play, but at J. Crew for $88.